What’s happening in Europe with the great sovereign debt crisis is nothing but a prelude to greater drama that will eventually unfold when the tsunami waves hit the American shores. Obama, Geithner, Reid & Pelosi are like four drunken sailors still freely spending hundreds of billions which they don’t possess, and like a deranged counterfeiter, Fed Chief Benjamin Bernanke is still happily printing & supplying them with useless unbacked paper money like there’s no tomorrow! in terms of trillions of dollars. Can you just visualise or envisage the magnitude of what the consequences will be when the final crunch strikes? What will happen to the US dollar? Let’s see what’s happening to the Euro – it has already dropped to a 14-month record lows in the last week alone, a massive loss of 16% of its value in just over four months. At which rate, half of European wealth will be effectively wiped off in just one year. When global investors awaken to the fact that the US indebtedness is far worst than the European nations, there will be greater economic & social catastrophe! Will the two financial saviours China & Japan able to bail out US then? What about IMF? The scenario may be played out in more horrifying proportions! If you’ve been following the news on satellite TV, be it Aljazeera or RT-TV and Channel News Asia, you wouldn’t believe the chaos of a civilised nation like Greece. Tens of thousands of protesters, from air traffic controllers to teachers & just about everybody hit the streets, hurling rocks & stones & Molotov cocktails, with fire burning in every corner. Three people were reported to have died in the fire that struck an Athens bank branch. Now it’s not just a question of economic loss, but people are starting to lose their lives. This madness arose out of the stringent austerity measures imposed by the rest of the European Union & the International Monetary Fund (IMF). They are forcing Greece to slash public sector wages, freeze pensions & boost taxes before they’ll start disbursing the $143 billion in bailout money. What will the future hold for the Greece’s citizens? They are deadly scared over what’s to come, and no less sick of bearing the brunt of the pain & suffering. They obviously don’t want to see their wages & salaries cut & the collapse of their standard of living. Already their unemployment has been running at a six-year high of 11.3%. Now is pay-back time. Both the people & the politicians have been courting the good life far too long – way beyond their means! You cannot go on forever borrowing & spending like mad and forgetting the day of reckoning will never come. Hopefully other nations will learn a lesson from here! The scenario in Greece is ugly! Madness surge . . . Chaos reign . . . all is futile & vain! Now this run-away freight train of great sovereign debt crisis is speeding towards US! The whole world seems to be in turmoil . . . hung government election in UK . . . Spain, Portugal, Ireland & Italy also plagued with indebtedness . . . wars & atrocities . . . and natural calamities of earthquakes & volcanic eruptions, hurricanes, floods, hunger, refugees & displacement & climatic change . 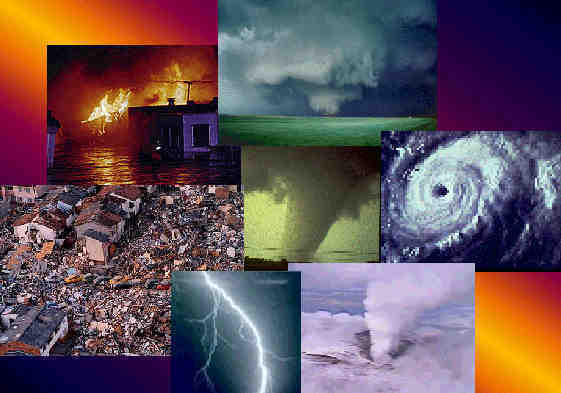 . .
Are all these signs from Heaven as warnings to mankind? Kudos to you, Paul. You are one of those who is seeing into the future…..and the future is not that bright!! know who to turn to?